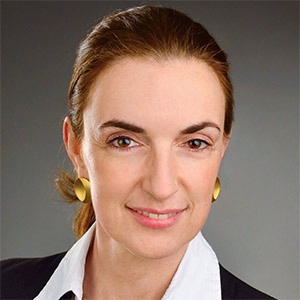 Monika Bachofner, industrial engineer and economist who graduated from the Karlsruhe Institute of Technology (KIT), is the operations director at EIT Urban Mobility, a knowledge and innovation community (KIC) that has just been launched. 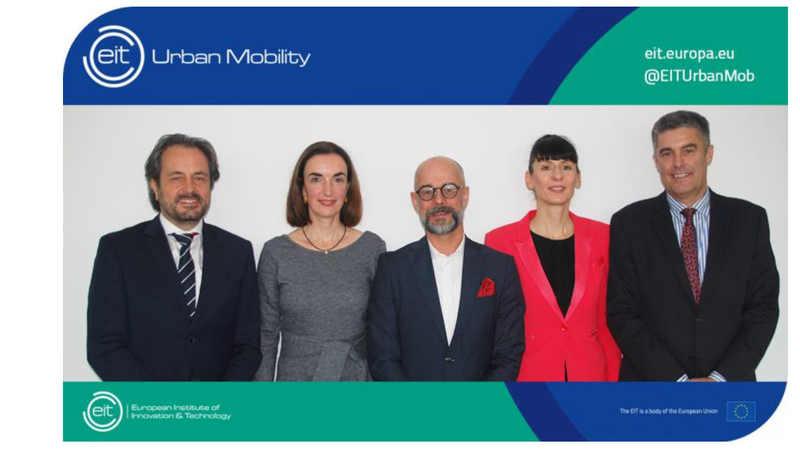 EIT Urban Mobility has a consortium promoted by the Universitat Politècnica de Catalunya (UPC) with the collaboration of CIT UPC and CARNET. The first stage of the project will take seven years and has a budget of 1.6 billion euros provided by government bodies and companies. The aim is to change the concept of research and training on mobility. Barcelona is the main headquarters of the consortium that has around fifty partners including universities, companies, technology centres, and government bodies. – How did the project come about and how did it start up? We started work on the project three years ago. We set up CARNET as the base of a triangle of knowledge in which the UPC, CIT UPC and SEAT act as a local knowledge community, with Barcelona City Council as part of the hub. This was the source of EIT Urban Mobility: it enabled us to put the project together and create the consortium with 50 members in 12 cities, as well as Barcelona. – You have been backed by the European Institute of Innovation and Technology, after competition with other international projects. How did you achieve this? We used the structure and experience of the UPC and CIT UPC to put together the consortium, which is highly complex because the project has 50 members and other affiliated organisations. We have five nodes and our main headquarters are in Barcelona. We are organised in a way similar to that of a company. We competed with five other projects. In the first stage, we submitted a 50-page report on our operational strategy and expected impact, then we defended the project in person at the EIT headquarters in Budapest. – What are the main objectives of this knowledge community on mobility? We want to be the European driver of knowledge and innovation on mobility. We aim to train the next generation of professionals in urban mobility and provide knowledge for those who are already working in this field. Analysis is required to design solutions at European level, but with a view to offering the model globally. The challenge is to bring 125 mobility solutions to the market, involving cities through City Clubs, and at the same time promote the creation of 180 start ups in the sector. EIT Urban Mobility will involve 170,000 people in 13 cities, with Barcelona as its main headquarters. – Part of the budget comes from activity generated by the project itself. How? By generating technological tools of value and through consultancy services. The idea is to transfer solutions generated at local level to other cities. The model is to create a think tank on mobility and generate revenue through these channels and through the organisation of events. – What role has CIT UPC played in the project? It is a very important member and has been since the start of the project. In 2012, CIT UPC took on the technical coordination of the Chair that SEAT had established at the UPC in 2007, guiding it in a direction that is focused on technology transfer. The dynamics of the Chair, which followed an open innovation model, brought new agents onboard who are leaders in mobility in the broadest sense. So, a collaborative innovation network was formed: research, training and talent. CIT UPC, with the support of the University, had the vision that led to the formation of CARNET. Then, CARNET led us to the EIT on urban mobility. – What will CIT UPC contribute from now on? CIT UPC will provide transferable technology solutions. Knowledge from the UPC’s technology centre will help to define processes for selecting the first innovation and education projects that we will launch. The vision and knowledge of CIT UPC at the start of the project have been vital to bring together the members. – What can the people of Barcelona expect from this project? Barcelona has already progressed in the development of mobility, but it can continue to learn from other cities. For example, the reduction of pollution in Copenhagen, and the use of bicycles in Eindhoven and Amsterdam. And from others in the area of multimodal integration of transport systems and logistics. We want to change the concept of urban mobility by offering solutions that can be applied in any city, and people will play an active role in the definition and solution of some problems. This can be achieved through events such as the mobility hackathons that we will launch to get people involved. Of course. We could mention artificial intelligence, big data, new materials, automatic driving, fuels, new transport modes, logistics… It is a task that is developed by all members of the project, who are already working in this area. Now the aim is to use these developments to benefit people. We want European cities to recover this function of agora that they had. – Part of the project is based on higher education. How is that developed? We will start up master’s degree and doctoral programmes for around 1,700 students that are highly focused on the new mobility. We will integrate elements from different areas, such as engineers and architecture, and we will promote the exchange of students around Europe. We will also stress entrepreneurship by promoting the creation of spin offs and start-ups in this sector. But beyond the context of the university, EIT Urban Mobility will involve 170,000 citizens, including professionals and government representatives, who we will reach through an internet television channel and a series of massive open online courses (MOOCS). This entry was posted in Sin categoría on 31 December, 2018 by www-citupc.